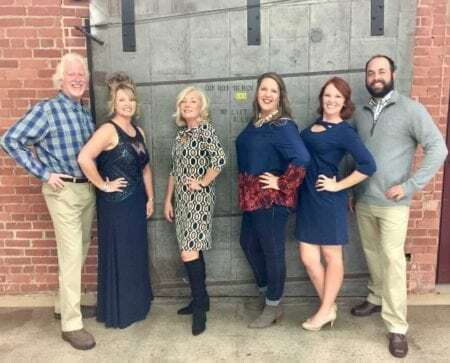 Southeast Radiation Oncology Group was proud to be a sponsor of the 2017 NorthEast Foundation Fashion Show, held October 24, 2017, at the City Club at Gibson Mill. SERO’s own Dr. John Heinzerling was a model in the event. The group representing Cancer Services at CHS NorthEast (pictured) modeled for Winsome Hanger. The sold-out event raised over $80,000 for the NorthEast Foundation and CHS NorthEast. There were 66 models and 11 boutiques represented on the runway.